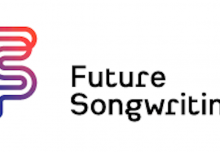 Over the last three years Musical Futures has become a not for profit company building on the pedigree of our time as a Paul Hamlyn Foundation special initiative and continuing to grow our reach into schools. Musical Futures is at an exciting time in its development as we reach the end of our Paul Hamlyn Foundation grant period and move into the next stage of our journey. We have developed our work into Primary with our new Just Play resource; created a new training offer which we have delivered both directly to schools and through partnerships with Music Hubs around the country; delivered two groundbreaking Music Learning Revolution conferences, and formed a new partnership with Trinity College London. Our CEO Abigail D’Amore and Head of Training Anna Gower have been at the core of this success – both as part of the Paul Hamlyn Foundation team and over the last three years shaping Musical Futures as a standalone organisation. Abigail and Anna are stepping down from their full time roles at Musical Futures at the end of March 2017. We are grateful for their many years of expertise and their dedication in working with teachers to keep music alive in our schools and to nurture the creative talent of tomorrow. We are delighted that they will be staying in touch with Musical Futures and I am sure will continue to be part of our network into the future. 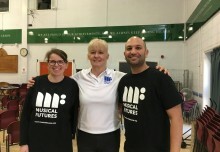 Fran Hannan is taking on the role of Musical Futures Managing Director, working with the Musical Futures Board and our national network of expert Musical Futures teachers from schools who exemplify Musical Futures in practice. We look forward to the next steps in Musical Futures journey.